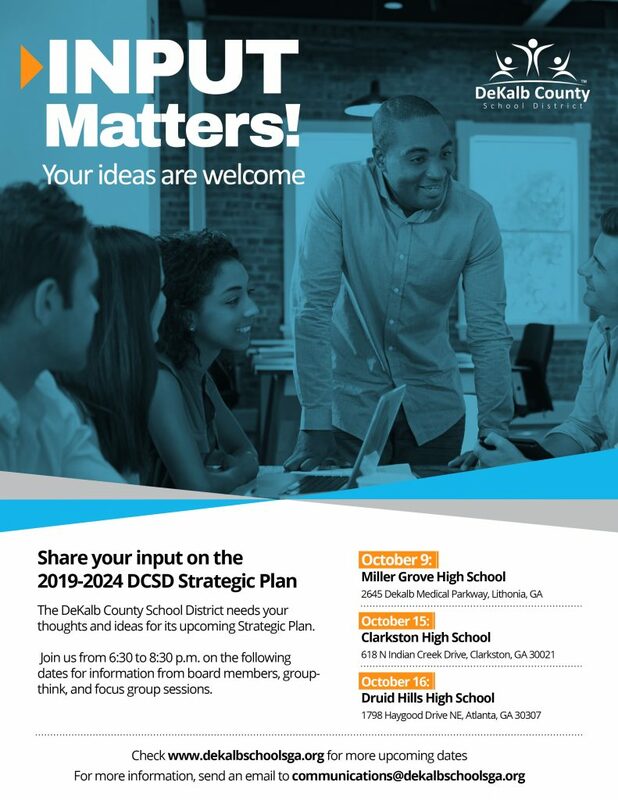 The DeKalb County School District (DCSD) invites all community stakeholders to provide input on the district’s 2019-2024 Strategic Plan on October 9, 15, 16, 22, 25, 29 and 30. DCSD will host seven community engagement sessions discussing the district’s future, including plans for student achievement, outlines for measurable success, and routes for employee satisfaction. Stakeholders can also complete an online survey to provide input. For more information, email communications@dekalbschoolsga.org.